During new construction or maintenance of a building, or even just when the systems are down, there are going to be times when automatic fire alarms, as well as sprinkler/suppression functions, are inactive or not in place. Therefore, a fire watch company is needed to patrol the area and guarantee all-around safety during these high-pressure situations. This one should go without saying, but hiring a fire watch company can save lives, plain and simple. 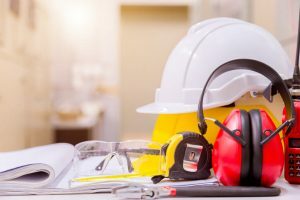 During construction, maintenance, or when fire alarms are down or not in place, these companies pick up on hazards and safety concerns that can potentially lead to an inferno, so that they can be taken care of in a timely manner. When there is a fire, whoever is on watch can immediately contact the fire department and alert all occupants. That way, no one will be in harm’s way, and the fire department can promptly prevent it from worsening. Did you know that fire watch is actually legally required for buildings in some local jurisdictions? When businesses don’t comply with these guidelines, they are technically breaking the law, and may face severe fines. By hiring a watch, you will prevent yourself from having to pay fines and penalties down the road. Not to mention, by actively trying to prevent a blaze from breaking out, the watch might actually save you from having to spend a fortune on repairs down the line. When you hire professional watch company, you are actively ensuring that the property is in the right hands. No longer will you have to worry if a fire will break out on your watch. If a building is without a fire alarm or suppression system, fire watch is the closest thing you’ll get to complete peace of mind. 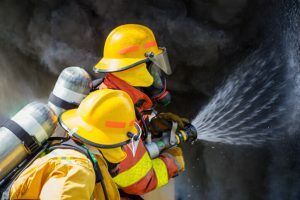 Hiring a fire watch company can go a long way towards safeguarding the property and everything inside of it.